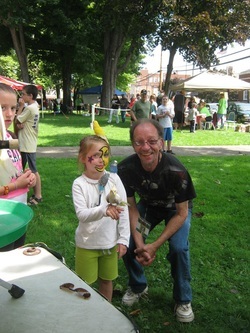 Ford City "Back to school Bash" - That Guy with the Birds! Ford City Back to school Bash! Great day in Ford City celebrating the Back to school Bash for the kids! We'd like to thank everyone that came out for this event! Special thanks to Elaine Jewell & our new friend Debby Fazekas who took some GREAT pictures for us! We hope that the kids all have a wonderful school year!